The comfort of flame-resistant (FR) fabrics have truly come a long way in a few short years. This is especially true for cotton-based FR fabrics. LAPCO FR’s new Modern FR Jean is setting a new standard that will be hard to beat. 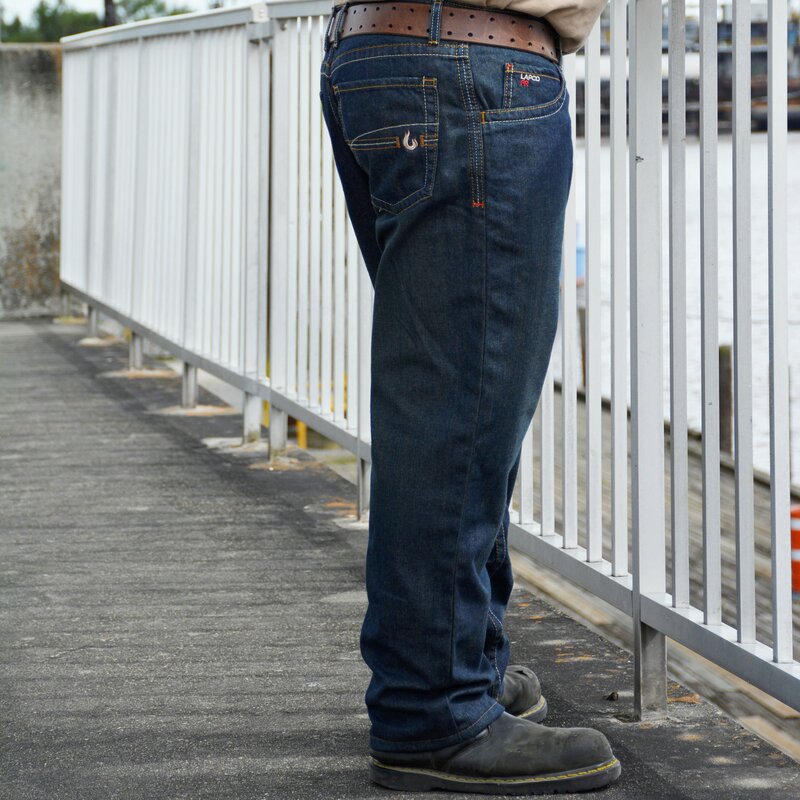 Despite the enhanced comfort of the fabric and new styling, the Modern Jean retains its high safety standards with bar tacks on press points, a non-conductive button closure, Nomex® thread stitching, and a brass zipper with Nomex® tape (certification is ATPV 15.2 cal/cm²| HRC 2| NFPA 70E|UL Classified NFPA 2112| UL Classified ASTM F1506). If you have a choice or preference of wearing FR jeans and a work shirt on the job, it is worth investing in a few pairs considering they are about half the price of most non-FR jean styles today. It is a perfect time to re-assess your current work wear apparel program and explore the new fabrics and styles that are making work life more comfortable.